Deadline TOMORROW! Be there or be what… SQUARE? EMMY Award Winning Grad at COMM Week! COMM Majors Raquel Lamal and Adam Hansen recently won Emmy Awards for: Outstanding Achievement of News Programming-Evening Newscast. Raquel will speak at the COMM Week banquet. Join us. 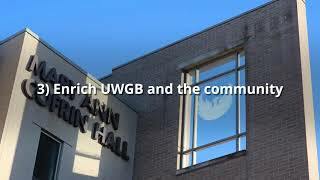 NO lie: UWGB COMM may be the best program in the state – maybe in the world.